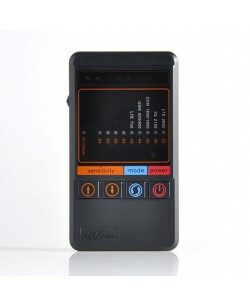 The radio-frequency Drones Detector is a hardware-software device that allows detection, notification, and automatic switch-on /off of a system of counteraction of unauthorized flights of the unmanned aerial vehicles (UAV) of a small civilian class within a radius of 300-700 meters. A drones de.. It might be surely a harassing experience for you and your loved ones, if some one is tracking you all the time, or watching you, or eavesdropping the conversations you are having with someone. These days, wireless tapping devices are designed with high-end technology and arrive with a c..
HS5000 is one of the more advanced and outstanding video scanning systems in the world. 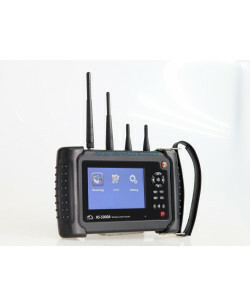 It can scan and detect all wireless cameras working on frequencies of 900 - 1300 MHz, 2300 - 2600 MHz and 5600 - 6040 MHz. 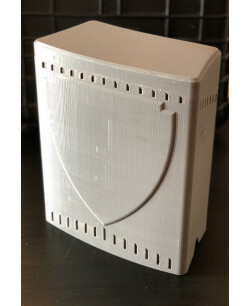 This unit will scan all frequencies synchronically within 95 seconds and detect t.. While bigger part of all inhabitants of our planet is nice people, there are still enough bad guys which can annoy you or even put you in danger. Among those bad guys might be your business competitors, jealous neighbors, ex-boyfriends or ex-girlfriends, and even members of your own family. Any of those people can secretly install hidden camera or microphone to record video and audio materials about you and then use them with bad intentions or just in their advantage. Let us explain every case with more details. If you have your own business, you definitely have competitors. Some of them are sincere people who like the spirit of competition and honestly trying to make their products and services better to outmatch you and other competitors as well. The rest is a bunch of shady guys who will use any measures in order to become the number one in the industry. Among those measures might be industrial espionage or even blackmail, but to do that they need to hide some spy cameras to picture some videos or at least microphone for eavesdropping. But if you have Bug Detectors in your hands, you will easily discover all hidden surveillance equipment in any room of the building. The same applies to jealous neighbors, ex-boy or girlfriends and members of your family as well. All of them are trying to get some facts about your private life to use them later in their advantage. And again the best way for them to get those videos or audio records is to hide cameras or microphones inside your house. Those things are wireless because evildoers have no time to get wire so you can discover all electronic surveillance devices secretly placed inside your house with the help of products from this category. By the way, our company has devices which can help you not only to find all hidden cameras and microphones in your house but also Spy Camera Jammers which can effectively block signals of those surveillance equipment.